Last month Lamborghini announced it would build a Roadster version of its new Aventador LP750-4 Superveloce, to follow in the wheeltracks of the coupe model. 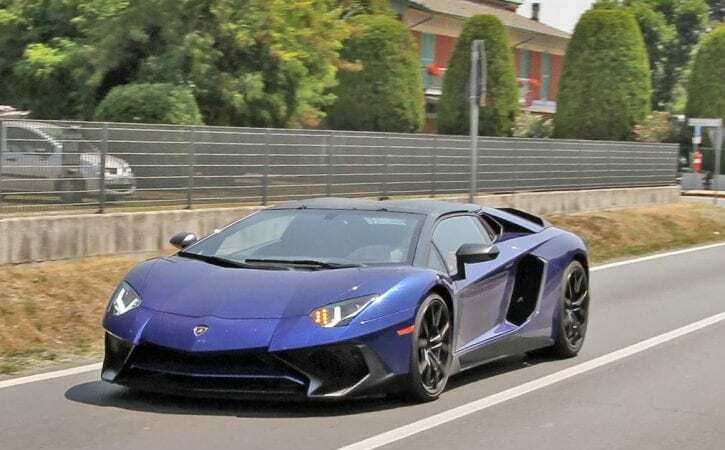 Now, thanks to our team of spy photographers, we’ve had visual confirmation that the most outlandish mainstream Lamborghini ever is on the brink of full production, with sales starting in the coming months. You can clearly see the same bodywork extensions as the SV Coupe – with a gaping rear diffuser, slashed side-sills and a jutting front bumper. New for the Roadster is a removeable carbon-fibre roof panel – meaning weight gains over the Coupe should be negligible – while it loses the Coupe’s massive fixed rear wing. The news that an Aventador SV Roadster was in the pipeline came at the Goodwood Festival of Speed, where the SV coupe was making its driving debut in the UK. Lamborghini boss Stephan Winkelmann told Auto Express that customer demand is already strong, even though it won’t be officially revealed until August. The SV Roadster will have the same 750bhp V12 as the coupe, so should come close to that car’s 0-62mph time of 2.8 seconds, although the 217mph top speed is likely to be limited thanks to the loss of the roof. Talking of new models, Winkelmann confirmed that while Lamborghini will still build exclusive models like the Sesto Elemento and Aventador J, it wouldn’t be revealing anything at this September’s Frankfurt Motor Show. Also, while Lamborghini is now getting heavily involved in motorsport with its Super Trofeo one-make and GT3 series programmes with the Huracan, planes for a Superleggera version of the small coupe are some way off.